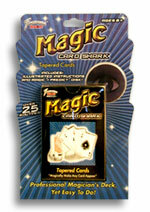 Sleek and classy, the Elite Card Clipsâ„¢ offer unparalleled protection for your decks. Made of impact resistant brass, each clip is cut, shaped, engraved, plated in 925 Sterling Silver, and finally polished, and lacquered by hand. The logo is meticulously engraved by a high precison diamond tool. This is a slow, and refined process that makes each piece unique. These state-of-the art clips are guaranteed to last a lifetime and offer the best protection for your decks. The signature finish protects the clip and increases the longevity of decks.